Player A and B connect on a wall pass and A starts on a breakaway towards goal. Defender(C) is live on B&apos;s first touch. B can make a far-post run to receive ball back or collect and put away the rebound. Go for 4 minutes, then switch defenders/attackers. 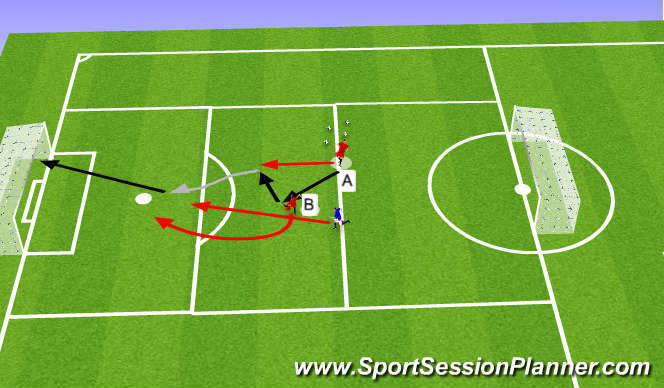 Cones can also be set up to start middle, wall pass with a winger and back into the middle for a breakaway.